Former president George H.W. 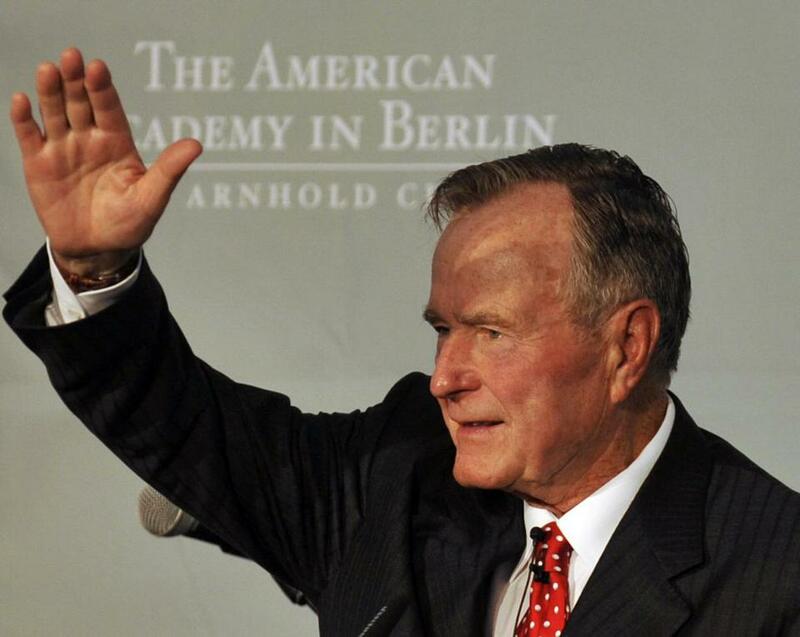 Bush gestures as he addresses guests after receiving the second annual Kissinger prize during an awards ceremony at the American Academy in Berlin in 2008. On Friday, former president George H.W. Bush died at the age of 94. His family and friends used code word “CAVU” to spread the news, according to CNN reporter Jamie Gangel. “For anyone who has been a pilot, it is familiar...it stands for Ceiling and Visibility Unlimited,” Gengel said in the broadcast. Bush referenced the phrase in a letter he once sent to his five children, according to the book “My Father, My President: A Personal Account of the Life of George H. W. Bush” his daughter Dorothy Bush Koch wrote in 2006. “I had a little plaque made. It says CAVU. CAVU was the kind of weather we Navy pilots wanted when we were to fly off our carrier in the Pacific. We had little navigational instrumentation, so we wanted CAVU -- ‘Ceiling and Visibility Unlimited,’ ” Bush wrote in his letter. According to the letter, Bush had the plaque made for his Kennebunkport home after seeing one at the funeral of Gar Hole, one of his executive officers from Bush’s time in the Navy. 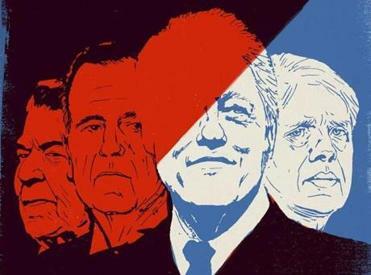 A look at the Bill Clinton blunders that continue to damage his party today — and what might have happened if George H.W. Bush had won a second term. 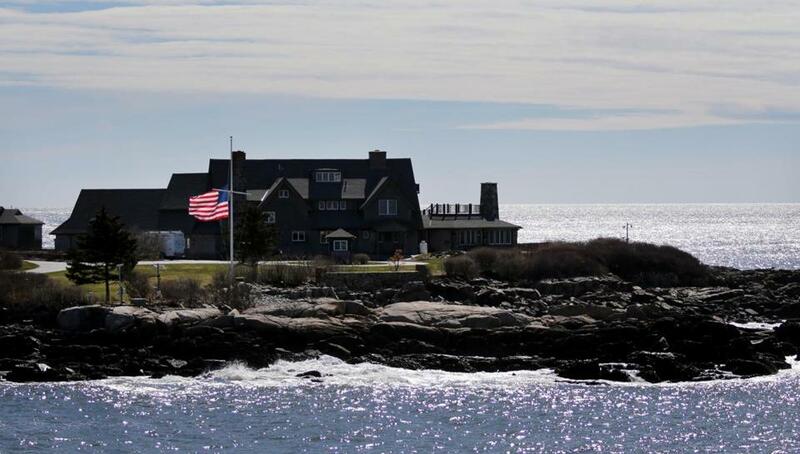 The small, bronze plaque sits at the end of Bush’s house in Kennebunkport “where the seas pour into the rocks the most, the spray most likely to weather my plaque,” according to Bush’s letter. The American flag was lowered honoring Barbara Bush at in Kennebunkport, Maine, on April 18, 2018. Correction: Because of a reporting error, an earlier version of this story had the wrong day of the week for Bush’s death. He died Friday.